In 1984 he graduated from the Moscow State University (MGU) from where he had obtained a thorough knowledge of Chinese language and literature. As a student Oleg Kupriyanov became interested in TV and radio journalism. In fact his leanings towards the subject at those years determined the future sphere of his professional interests and activities. Oleg Kupriyanov began his journalist career as an editor of radio programs broadcast from Moscow to China. His next step was the work on TV. During the 1990s he fulfilled various duties as a chief editor of TV programs, Director of a TV channel and art director of “Russian home TV”. It is in those years that Oleg Kupriyanov acquired an invaluable experience in the field of TV journalism and management. He resumed his activities in the radio sphere in 1999 when he was appointed a Deputy General Director at the broadcasting company “Mayak” – a leading national broadcaster in Russia. 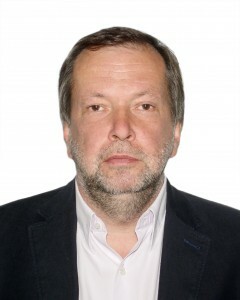 In 2009 Oleg Kupriyanov joined The Russian State Broadcasting Company “The Voice of Russia” and since that time he has been working as a Deputy Chairman responsible for the broadcasting policy and international relations. Among his public activities one should be particularly mentioned. From 2011 Oleg Kupriyanov has been serving as a General Director of “The international Union of Russian speaking Broadcasters”. This organization unites companies which broadcast in Russian in different points of the world. The goal of the Union is to help its members to ameliorate their content production, bring new audiences, to provide technical support if needed and solve many specific routine problems.